During a renovation project at our high school,when the lockers were detached fromt the walls there were several items that had somehow made their way behind the lockers. This was one of them. There are no dates or names on the back. 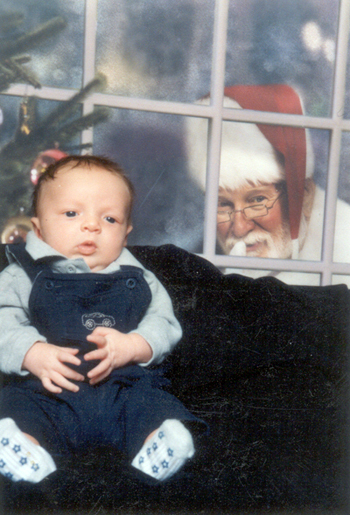 This santa creeps me out.